Our systems are 100% encrypted cellular communication which means they are secure and do not require phone service or even internet service. Our Vintage Interactive service allows for control of your system from anywhere from your smart phone, tablet, computer or other internet connected device. 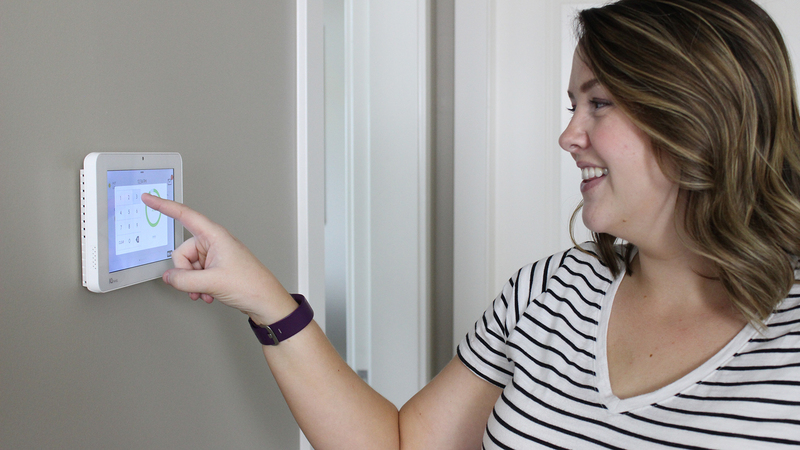 Our service also allows for the integration of locks , lights, thermostats and garage door control for complete home management. Add cameras to see what is going on at your home. We can also monitor or upgrade your existing system and save you money on your existing monitoring rate. 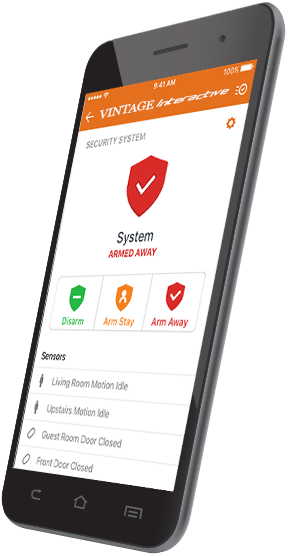 Security System Packages IQ Pro Control is a dedicated and secure wireless monitoring system with remote access from smartphone, tablet or computer. It has a 7” color touchscreen, an integrated 5MP camera for alarm and disarm photos as well as bluetooth disarming. Includes 1 motion detector, 4 door or window contacts and 1 smoke detector.